As of now, no A-10 teams are a lock to make the NCAA tournament. While scenarios remain where the league could get two or possibly even three teams into the Big Dance this year, it is unlikely. Unless two teams distance themselves from the pack in conference play, the A-10 is in danger of receiving one NCAA tournament bid this year. Putting together a solid non-conference resume and starting A-10 play undefeated, Saint Louis has the best chance to grab an at-large bid. While the Billikens have left a few winnable games on the table, a 12-4 record with wins over Seton Hall, Butler, and Oregon State puts them on the bubble. Saint Louis needs to avoid potential landmines against Fordham and Saint Joseph’s this week in order to stay in serious contention. As for Davidson, Dayton, and VCU, these three teams are currently on the outer edge of the bubble. While none of them would make the tournament if the season ended today, all of them remain within striking distance. Last Saturday Davidson made a comeback at home to down VCU in a hard-fought game. Meanwhile, Dayton held off UMass for a 72-67 win. 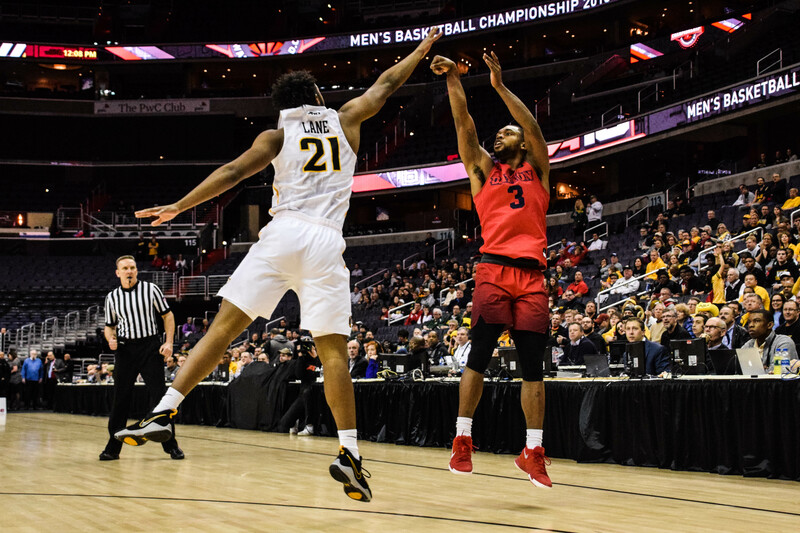 With Dayton and VCU facing off at the Siegel Center Wednesday night, the A-10 tournament picture is about to become more clear. Both teams desperately need to add another quality win to their resumes and a win for either the Flyers or Rams would do just that. What Does Jordan Davis Bring to the Dayton Flyers?